Cuckoo Clock with 8-day movement / running time (mechanical), with music and dancers, All figurines and decorative elements are made of wood and are hand-painted. 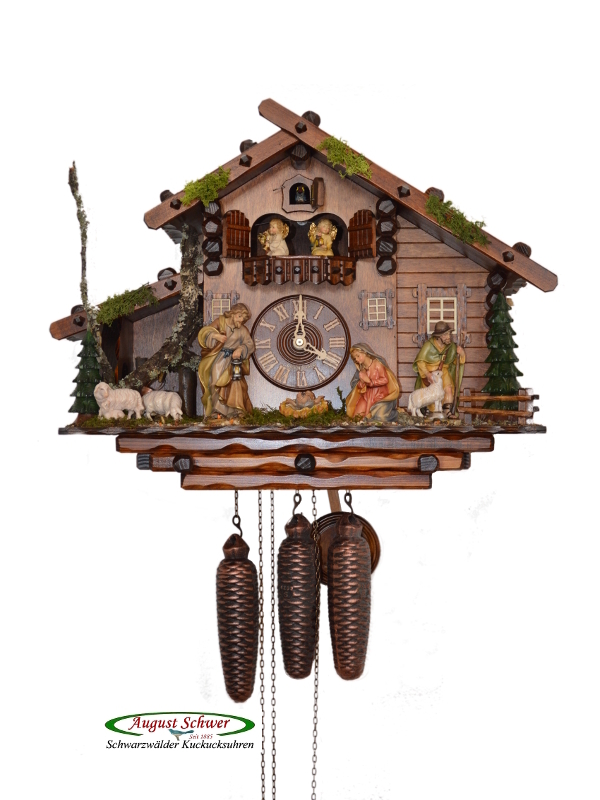 Dancing figurines made of wood, wooden dial, wooden hands, August Schwer life-like wooden cuckoo, pendulum. Our premium clock models with longer warranty have several extras and mechanical parts specifically choses for a long lifetime. Extras: wooden knob on the night shut-off, real hinge on the cuckoo door (optical and mechanical improvement), antique-style chains.